Triathlon is a fast growing sport. Since the nation watched the Brownlee brothers battle it out across the race that combines a swim, bike and run in the London Olympics, more and more people have been trying it out for themselves. This is great news for triathletes because it means that more and more events are popping up with lots of them aimed at the beginner triathlete. London is spoilt for great triathlon options. The big showcase events take place in Hyde Park and the London Docklands each year. 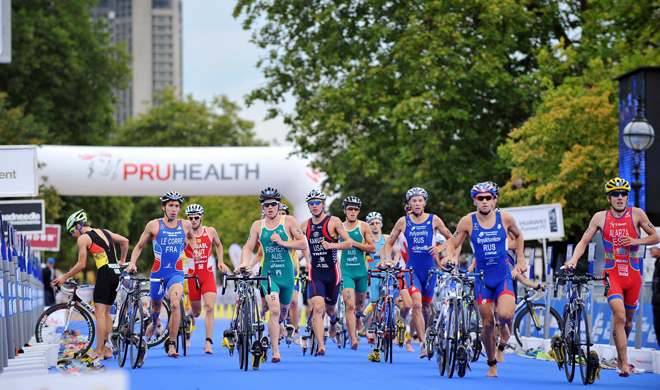 The PruHealth World Triathlon London is part of the ITU World Series and takes place on the same course that you’ll have seen the Olympians tackle during London 2012. Being the World Series, this event has big names taking part too but don’t worry about being lapped by Non Stanford – the pros race on the Saturday with everyone else taking part on the Sunday. On the other side of town The Virgin Active London Triathlon in the Docklands is a big event with 13,000 people of all abilities taking part each year. Both these triathlons have the option of Olympic, sprint and super sprint distances to choose from. An Olympic distance event combines a 1500m swim, a 40km bike and a 10km run, while a super sprint is around a 400m swim, a 10km cycle and a 2.5km run and a sprint is halfway between the two. If you’re reluctant to dip your toe into a triathlon with an open water swim, you can start off with one where the swim leg takes place in a swimming pool. 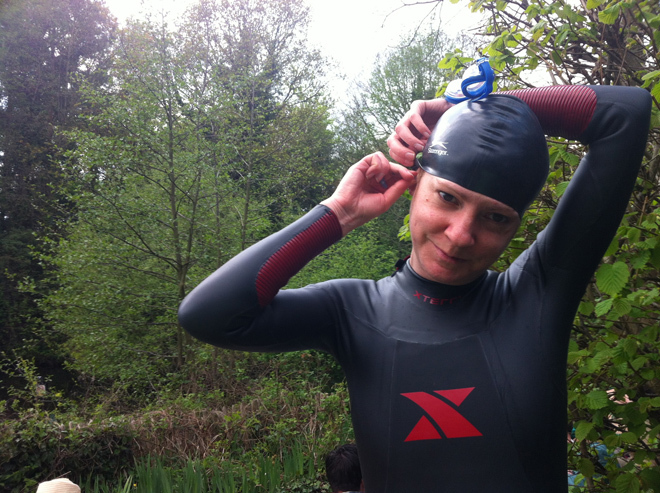 Thames Turbo Triathlon Club organise a series of pool-based triathlons every year. Triathlon races mainly take place in the summer months because the water temperature has to be warm enough for swimming in. But outside of the main triathlon season you’ll find duathlons (just the cycling and running) taking place. The biggest in London is the Richmond Park Duathlon which takes place in September. If cycling isn’t your thing, or you don’t own a bike, how about giving an aquathon a go? You’ll just do the swim leg and then go straight to the run missing out the cycling altogether. London Fields Triathlon Club hold an Aquathon based in London Fields Lido and Capital Tri have a ‘Splash and Dash’ which takes place at the Stoke Newington Reservoir. When it comes to training for your event, remember everyone has a weakness, you’re unlikely to be brilliant at all three sports. And while it’s probably more tempting to spend more time on the discipline that you’re good at (because you’re more likely to enjoy it) focussing on your weakest area will yield better improvements. If you’re less confident on the bike, get out with some friends to practice cycling in a group, or head to a spin class (try Cylebeat) to help with pushing hard on the bike leg. If you’re not a confident swimmer, take some lessons. Having someone give you pointers on your technique will help make the swim much easier. Love Swimming offer a range of lessons from one-to-one to group sessions. Find a deal to get fit in London.